Followers of good food and wine are in for a treat. 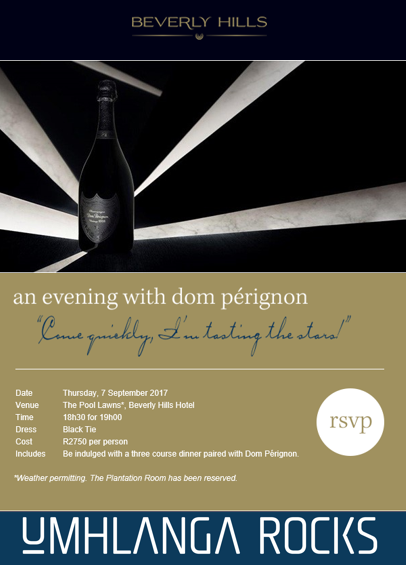 Join Aimee Kellen and Chef de Cave Richard at the Beverly Hills for a truly memorable evening of Dom Pérignon and food pairing. Numbers for this exclusive event are limited. Please book early to avoid disappointment.